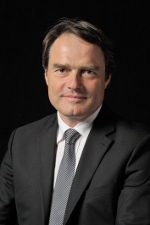 At the delegates meeting held in Paris on 29 June 2012, Antoine Beaussant, CEO of Buffet Group, France, Board Member of the French Association of Music Industry (CSFI) and the German Association of Musical Instruments Manufacturers (BDMH) assumed office as CAFIM President. Since 2007 he has been at the helm of the tradition-steeped French company, famous as manufacturers of Buffet Crampon and Antoine Courtois instruments, steering it along a successful course. Other members of this group comprise Besson brass instruments of the UK and Schreiber-Keilwerth based in Germany. Since 2012, this trans-national establishment has been operating under the corporate style of the “Buffet Group”. The new elected Vice President is Claudio Formisano, who is also President of DISMAMUSICA, the Italian Music Industry Association representing over 80 per cent of the national market, whose primary aim is promoting music making in Italy. Mr. Formisano is also owner and Managing Director of Master Music, exclusive distributor of prestigious brands of musical instruments in Italy. He is also Co-founder, Board Member and Control Board President of Remedia, a leading Italian Consortium that handles Waste Electric and Electronic Equipment (WEE). Inside Remedia he represents the whole Italian MI market. With focus on the “European-Chinese Dialogue”, the delegates were responsible for making preparations for the conference that took place on 22 March in conjunction with the Frankfurt Music Fair and are now preparing for the meeting to be held in Shanghai during the Music China expo scheduled to run from 11-14 October. Matters up for discussion included copyright, utility model protection, trademark protection, competition rights and market access. “Normalization of sales channels” is an issue calling for examination in greater detail. Caused by excessive customs duties, access to the Chinese market for European manufacturers is severely restricted, in complete contrast to the conditions under which Chinese providers are able to operate in Europe. The heavy customs tariff burdens imposed on European instruments increases their prices up to 40%, a circumstance which has an extremely aggravating impact on exports and sales owing to these products being considerably higher-priced than those available from elsewhere. An increasing lack of understanding prevails on the part of many final consumers in China, who are aware of this dilemma through Internet searches and other media sources, a sad state of affairs which tends to encourage and promote alternative sales through undesirable channels. A recommendation was put forth for the burden of customs tariffs and taxation to be reduced to a European level owing to duties levied on Chinese products over here amounting from between 3 and 3.5% without further taxes being imposed. Other subjects due to be treated include music education and possibilities of establishing partnership relations in the field of military band music. Finally, the delegates centred their thoughts on the support of music education, taking as an example the concepts worked out by the Canadian organization “The Coalition for Music Education”. Set up in 1977, the Confederation of European Music Industries (CAFIM) represents the interests of the European Music Industry. The Delegates Assembly comprises representatives from Germany, the UK, France, Italy, Norway, Austria, Portugal, Switzerland, Spain, Slovenia, the Ukraine, Hungary and the Czech Republic. Antoine Beaussant, CEO of Buffet Group, France, Board Member of the French Association of Music Industry (CSFI) and the German Association of Musical Instruments Manufacturers (BDMH) assumed office as CAFIM President. 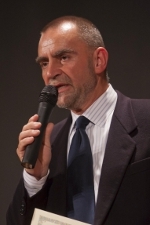 Claudio Formisano, President of the Italian Music Industry Association DISMAMUSICA, Owner and Managing Director of Master Music, Co-founder, Board Member and Control Board President of Remedia, a leading Italian Consortium that handles Waste Electric and Electronic Equipment (WEE).